Piero Minardi is based in São Paulo and joined Warburg Pincus in 2014. Previously, Mr. Minardi was a Partner in the Private Equity Group at Gavea Investimentos, a private investment company, from 2006 to 2014. Prior to that, he was Head of Private Equity, South America Southern Cone at Darby Overseas Investments, Principal of Private Equity at Baring Private Equity Partners and AIG Capital Partners, and Director of Mergers & Acquisitions at Bunge International/Santista Alimentos. Mr. Minardi has also held senior positions at Banco Pactual, McKinsey & Company and Accenture. 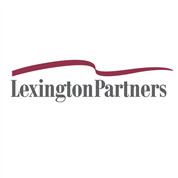 He served as Board Director in fifteen Boards of public and private companies. Mr. Minardi is a Board Member of EMPEA (Emerging Markets Private Equity Association) since 2012. He holds a B.S. in mining engineering from Escola Politécnica USP, São Paulo, and an MBA from INSEAD, Fontainebleau, France. Fernando Borges is a Managing Director and Co‐Head of the Carlyle South America Buy Out Group focused on private equity investment opportunities in South America. He is based in São Paulo. Prior to joining Carlyle in 2007, Mr. Borges was a Managing Director at AIG Capital Partners and CEO of AIG Capital Investments do Brasil, being responsible for managing AIG's private equity activities in Brazil. From 1994 to 1999, Mr. Borges was a Director of Bozano, Simonsen's Private Equity division, where he was responsible for managing a private equity fund sponsored by Bozano, Simonsen Group and Advent International. Mr. Borges has more than 20 years of private equity experience in Brazil, having participated in more than 20 transactions in the region. Mr. Borges holds a graduate degree from SAIS ‐ School of Advanced International Studies of the Johns Hopkins University, the Bologna Center, and a B.A. in International Relations from Universidade de Brasilia. Currently Mr. Borges serves on the Board of Directors of several Carlyle's portfolio companies in the region including: CVC Brasil Operadora e Agência de Viagens S.A., Orguel Administração e Participação S.A., Ri‐Happy Brinquedos S.A., Estok Comércio e Participações Ltda. (“Tok & Stok”), and Tempo Participações S.A. . Mr. Borges is currently Chairman of ABVCAP, the Brazilian Association of Private Equity & Venture Capital. 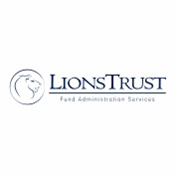 Founding partner of Lions Trust, the first Brazilian fund administrator specialized in the Private Equity and Venture Capital industries. 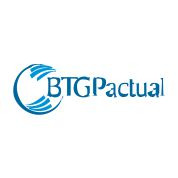 Authorized by the Brazilian Securities and Exchange Commission (“CVM”) to act as a portfolio manager and also as a fund administrator, Mr. Sanchez has more than 13 years of experience in the financial and capital markets, and was responsible for the structuring and administration of more than 40 FIPs, FIEEs and FIC FIPs. Prior to joining Lions Trust, Mr. Sanchez was director at Stratus Group, a Brazilian PE Fund Manager, where he worked more than 3 years as responsible for the structuring and fund administration department. Prior to joining Stratus, Mr. Sanchez worked at BEM DTVM (a subsidiary of the Bradesco`s Group specialized in third parties funds administration) and also at Bradesco Bank, first at the securities and funds services department (custody, controlling, bookkeeping, foreign investors legal representation) and after at the investment department (structuring investment products and funds for specific types of investors). Álvaro Gonçalves is CEO of Stratus Group and has an extensive history in private equity investment and line management. Gonçalves co-founded Stratus Group in 1999, following two years as Managing Director of Pactual Electra Capital Partners – one of the first private equity funds in Brazil. He has also played a leading role in the development of the Brazilian investment environment over the last ten years. He served as Chairman of the Brazilian Private Equity Association and directly participated in a number of institutional efforts which resulted in regulatory improvements and better understanding of the segment by both government authorities and capital markets institutions. Álvaro Gonçalves also serves in the Listing Committee of BM&F BOVESPA, the Brazilian Stock Exchange, where he leads discussions about the access of mid-market companies to the stock market. In the international context, Gonçalves currently serves at governing bodies of EMPEA – the Global Emerging Markets Private Equity Association (member of the Advisory Council) and LAVCA – the Latin American Private Equity and Venture Capital Association (Board of Directors). Prior to this, he built a solid career as corporate executive, including the leadership of two turnarounds of national segment leaders: in 1996, as CEO of Lacta, the number one chocolate producer in the country; and in 1990, as CFO of the Pullman Group, a leading Brazilian bakery products company. Gonçalves led a successful turnaround in both cases to achieve sustainable profitability. In addition to these two highly visible cases, Alvaro advised restructuring situations as manager of Banco Pactual’s corporate finance division, in 1994. Gonçalves began his career in 1984 at Duratex (part of Itau Group), a mid-market supplier for the civil construction sector. Alvaro Gonçalves holds a BSc in Industrial Engineering from FEI (Brazil), with extensions in Business Administration from FGV-SP (Brazil) and an MBA degree from IMD-International (Switzerland). 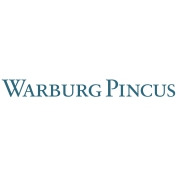 Head of Vinci Partners' Private Equity team. He is a member of the Board of Directors of several Vinci portfolio companies, such as Austral, Cecrisa, CBO, Uniasselvi, Burger King and Le Biscuit, and member of the Board of ABVCAP (Brazilian Private Equity & Venture Capital Association). Mr. Zaremba started his career in 1996 at Banco Pactual, where he worked as a sell side equity research analyst, leading research for banks, beverages, retail, food and tobacco. After becoming partner of the firm in 2001, he was assigned to lead Banco Pactual’s proprietary equity and debt investments in the U.S. Between 2006 and 2009, he worked in UBS Pactual Gestora de Investimentos Alternativos, already with strong involvement with Private Equity. 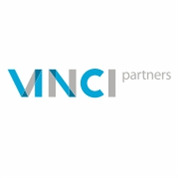 Joined Vinci Partners in 2009 as a partner, where he is fully involved with the PE strategy since the beginning. Mr. Zaremba studied Economics at PUC-Rio, is a certified Chartered Financial Analyst (CFA) and completed the OPM 50 program at the Harvard Business School. CEO and Managing Partner of CRP-Cia. de Participações. Clovis has a degree in Economics and Business Administration and a specialization in Private Equity and Venture Capital. He is responsible for the overall administration of the Funds and CRP. Clovis joined as one of the people responsible for structuring the company and has been CEO since 1996. He has 34 years experience in Private Equity and Venture Capital throughout the investment cycle and has led more than 100 operations and acquired extensive knowledge in various industries. Clovis structured and closed more than ten funds. Was president and also one of the founders of ABVCAP (the Brazilian Venture Capital and Private Equity Association) (2012-2014). Cristiano Lauretti joined Kinea in September 2009 as Managing Director and Head of Private Equity. Mr. Lauretti has almost 16 years of private equity experience in Brazil, having worked as Managing Director at AIG Capital Partners in Brazil. Mr. Lauretti currently serves on the Board of Directors of Kinea’s portfolio companies: Unidas, Alliar, Grupo Avenida, Eliane Revestimentos Cerâmicos, Uninter Educacional and AGV Logística. Cristiano acted as Chairman of the Board of Cia. Providência and Board Member of Gol Linhas Aéreas, Grupo Multi and Grupo ABC. 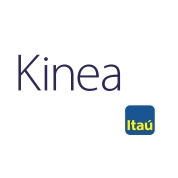 Prior to joining Kinea, Cristiano worked at AIGCP, Banco ABN Amro, Banco Itaú and Varig. Cristiano holds a B.A. in Industrial Engineering from Universidade de São Paulo (Poli-USP). Head of Alternative Investments at BNP Paribas Asset Management Brasil and member of the Advisory Board and Head of the Regulation Committee at the Brazilian Association for Private Equity and Venture Capital (ABVCAP). Luiz Eugenio was a partner at Rio Bravo Investimentos since the firm's foundation in 2000. During 13 years at Rio Bravo Luiz Eugenio held relevant positions such as Head of Private Equity, Head of Real Estate Investments and Chief Operating Officer (COO). He was previously an officer at Banco Pactual's corporate finance group, where he specialized in financial institutions. Before joining Banco Pactual in 1997, he worked at Unibanco as a sell-side investment analyst and also at Price Waterhouse. Luiz Eugenio holds an Advanced Certificate for Senior Executives from MIT Sloan School of Management (USA) and a BA in Economics from FAAP (Brazil). 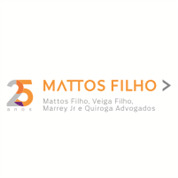 Marina Procknor is partner at Mattos Filho Advogados. Marina practice focuses on a wide variety of cross-border transactions, including private equity, joint ventures, structured finance and securitizations. She represents financial institutions, sponsors and investors in the formation and capitalization of a broad range of investment vehicles, and related financing, acquisition and disposition transactions, including hedge, private equity, real estate, distressed assets, among others. In 2013, she was listed in the Latin Lawyer as one of the most inspiring women in the Latin American legal profession. She sponsors social business and impact investment initiatives in Brazil through her pro bono work with Professor Muhammad Yunus. Mario Malta joined Advent International in 2003 and is a Managing Director. 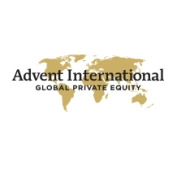 He has worked on 13 Advent investments, including Balcão Organizado de Ativos e Derivativos (Cetip), Cataratas do Iguaçu S/A, Dufry South America (formerly Brasif), International Meal Company (IMC), LifeMiles B.V., Proservvi Banco de Serviços, RA Participaçoes and Terminal de Contêineres de Paranaguá (TCP). Mario is also a Board Member of Cataratas do Iguaçu S/A, Lifemiles B.V., and TCP. Previously, he worked for Citibank in its Credit Risk Analysis Unit, focusing on the telecommunications and media sectors. Mario received a BA in Business Administration from Fundação Getúlio Vargas (EAESP – Escola de Administração de Empresas de São Paulo) with majors in Corporate Finance and Corporate Strategy. Principal at Pátria since 2005, responsible for new business efforts in Pátria’s Private Equity Division and COO of Anhanguera since 2005. Mr. Scavazza joined Patrimônio in 1999, working on new investment initiatives and heading the private equity’s acquisition efforts for the portfolio companies. Mr. Scavazza worked at DASA and Anhanguera as CFO from 2001 to 2002 and from 2005 to 2006, respectively. Mr. Scavazza holds a Bachelor’s Degree in Business Administration from the University of Texas – Austin and a Bachelor’s Degree in Business Administration from Fundação Getulio Vargas. Joined GP Investimentos in 2002 where he worked as analyst and associate in private equity funds. Since June 2006th , Propheta is exclusively dedicated to BRZ Investimentos working as managing partner of long-term area prospecting, running and monitoring companies and projects. In addition, he is member of the Board of Directors of Amata, LOGZ Logistica Brasil, Magnesita, America Latina Logistica and Regina Festas. Prior to joining GP Investimentos, he worked at the consulting firm Booz Allen & Hamilton do Brasil and at the banks CCF Brasil and Brascan. As a Senior Consultant at Booz Allen & Hamilton (2001-2002), he participated in several projects of strategic scope and/or operated leading companies in the infrastructure sector. He was also a member of the Board of Directors of companies such as Equatorial Energia, IG, Lupatech, among others. Ricardo Propheta has a degree in Production Engineering from the Escola Politécnica da USP.